There’s been a lot of breaking news, general news and sporting events I’ve covered recently. Here are some of those images. 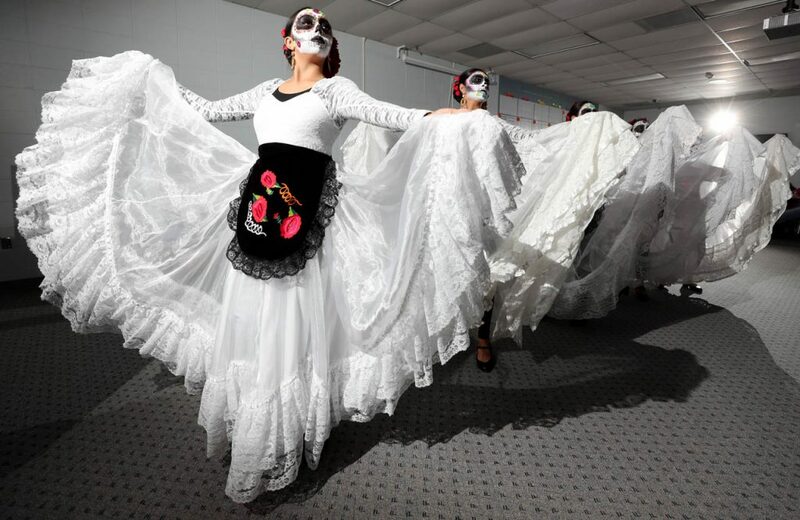 Mexican Dance Academy of Nebraska folklore dancers perform during Dia de los Muertos at Central Community College. 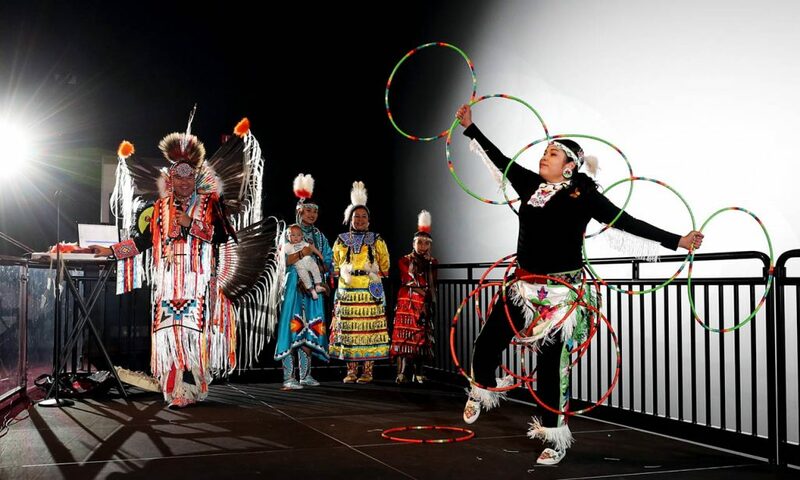 Karina Dominquez of Lincoln, a member of the Many Moccasins Dance Troupe, performs a hoop dance during the 12th annual Native American Festival at the Hastings Museum Thursday. Dominquez is part of the Winnebago Indian tribe. 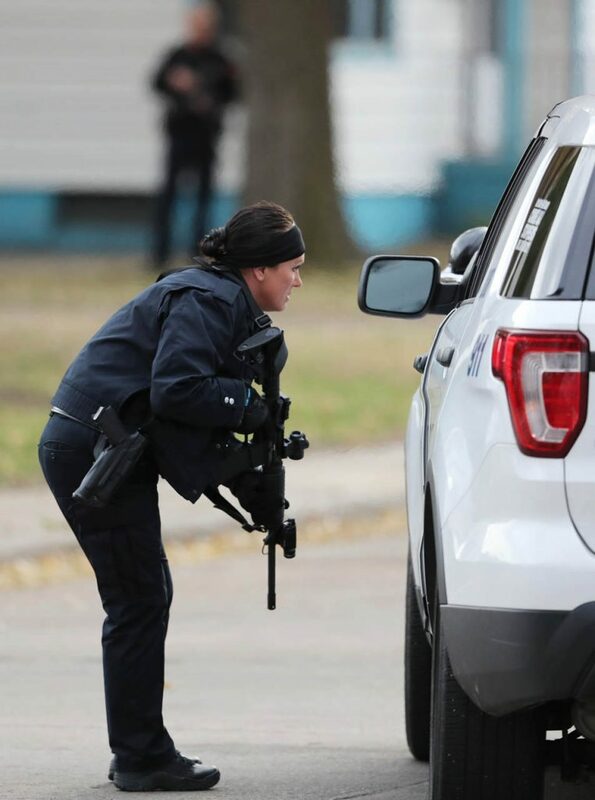 A Grand Island Police officer shields herself behind a SUV and another officer behind a tree during a police standoff at 802 W. John St. Friday. 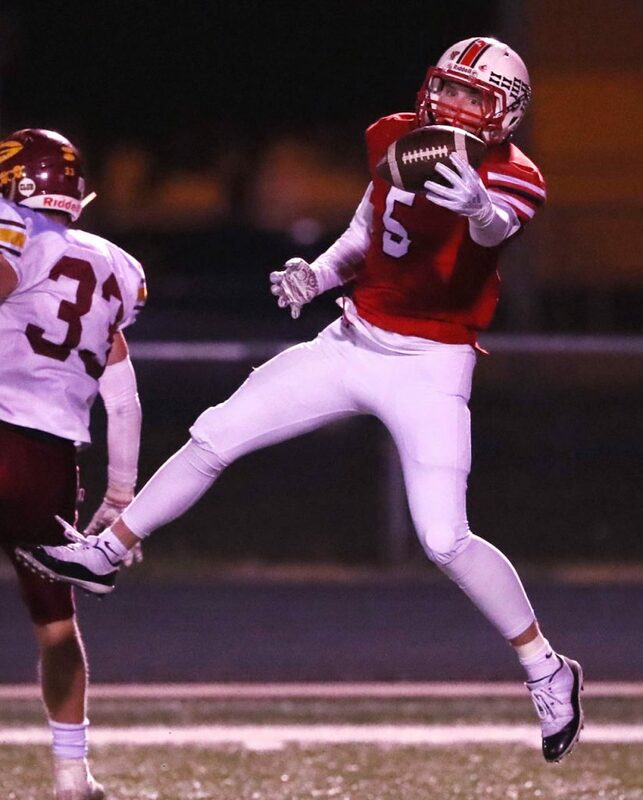 Aurora senior wide receiver Cade Reichardt makes a one-hand catch scoring a touchdown against Gothenburg Friday night in Aurora. 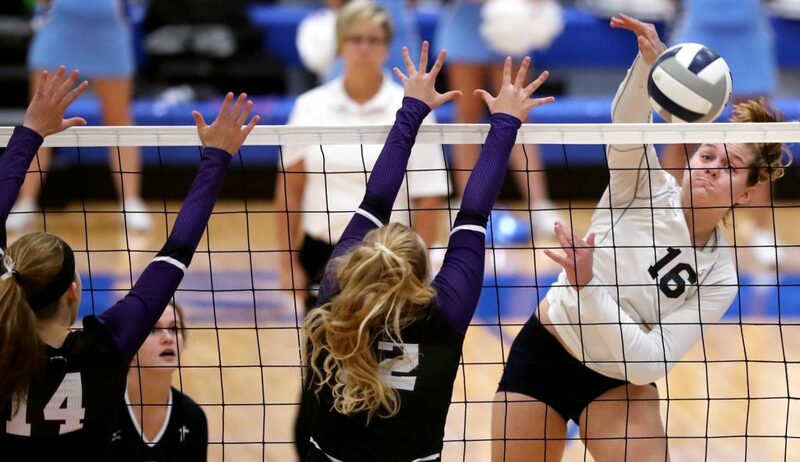 Grand Island Central Catholic senior Megan Woods goes for a kill during the District Class C1 Championship against Minden at Kearney High School Saturday. 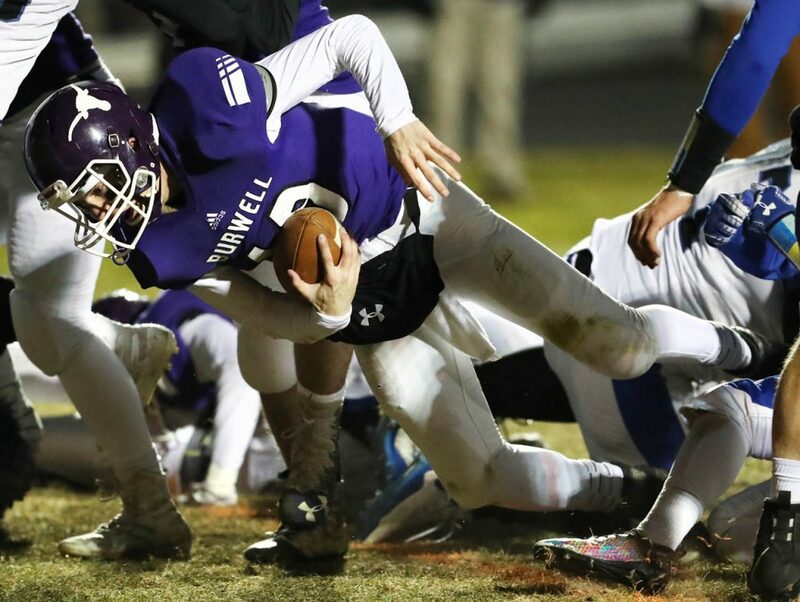 Burwell senior quarterback Sage Konicek falls over the goal line to score the first touchdown of the game against North Central during the Class D1 semifinal in Burwell Monday. 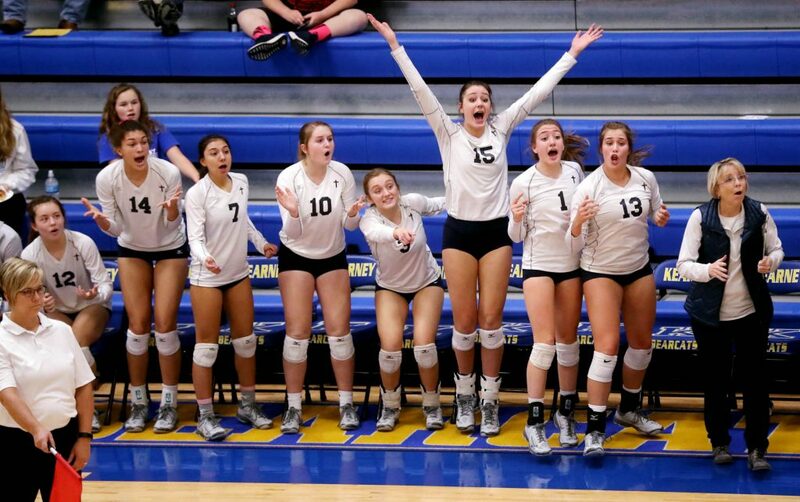 Players on the Grand Island Central Catholic bench react to a call during the District Class C1 Championship against Minden at Kearney High School Saturday. 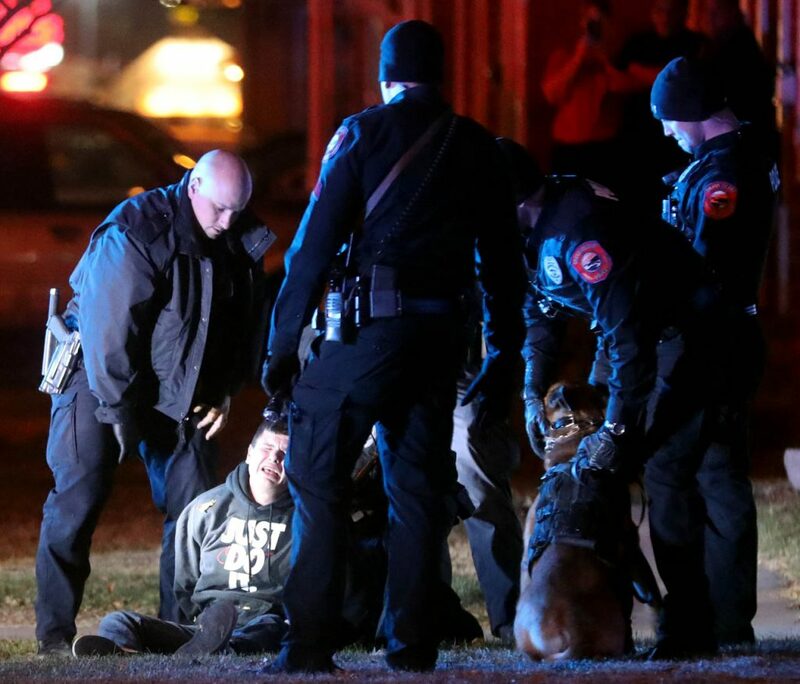 The Grand Island Police K-9 unit is used to apprehend a suspect near the intersection of S. Locust and the 200 block of Anderson Street Friday night. 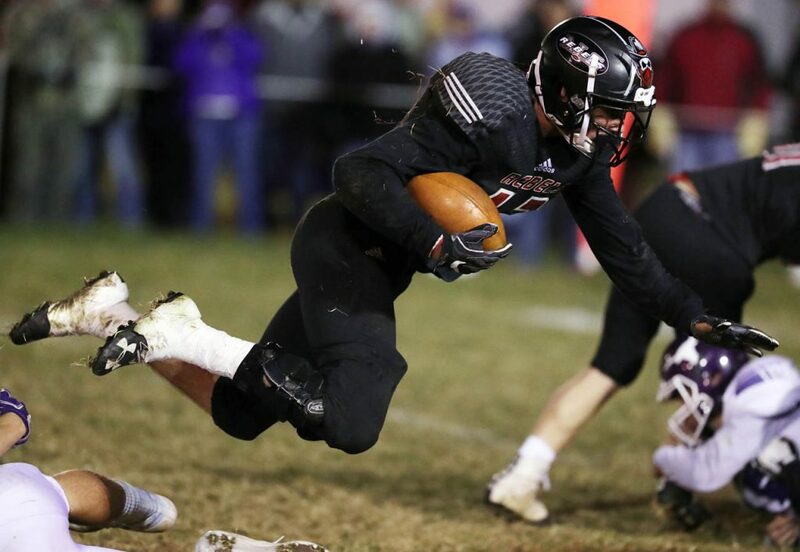 Arcadia-Loop City junior running back Caden Kusek avoids a tackle by Burwells Corey Dawe to gain more yardage Tuesday night on Bud Owens Field. Burwell won 43-8.